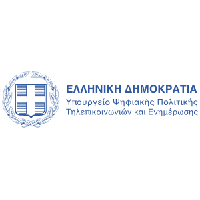 Profile: The General Secretariat for Digital Policy in the Ministry of Digital Policy, Telecommunications and Media is the central planning instrument of the Greek state for Information and Communications Technologies (ICT). GSDP produces, updates, and oversees the implementation of the National Digital Strategy regarding national ICT policy, electronic Government (e-Gov) Strategy, state policies for Telecommunications infrastructure and national planning for the European Digital Single Market. In this framework of operation, GSDP has a central role in planning and coordinating actions that involve Digital Service Infrastructure projects and designing their architecture and implementation within the bounds and standards set by the Digital Single Market. As such, its approval is required for any ICT project and action that spans the public sector. In Greece the National Cyber Security Authority (NCSA) is established in the General Secretariat of Digital Policy, Ministry of Digital Policy Telecommunications and Media following a Presidential Degree. NCSA is responsible for coordinating all competent Ministries and independent authorities of Greece, in order to take all necessary steps towards a secure Greek Cyber space. In close cooperation with the National CERT, NCSA will have to handle all critical incidents, issue binding instructions to the operators of essential services and impose penalties when necessary. From 2017, NCSA is representing Greece in the Cooperation Group of the EU.